At Gentle Dentistry, we know how important having a great smile is to looking and feeling good. That's why Dr. Marylou Pfaffenberger and the entire team at our Carrollton and Plano, Texas dental practice is committed to providing the highest quality in family and cosmetic dentistry. Leveraging today's latest technology, Carrollton and Plano dentist Dr. Marylou Pfaffenberger can create results that change how you look and feel. Whether you need a routine checkup, or more advanced procedures like a smile makeover, Gentle Dentistry offers a wide variety of procedures to uniquely fit your needs. In addition, our friendly staff ensures your visit to the dentist is affordable and comfortable. If you are searching for a Carrollton/Plano family dentist or a cosmetic dentist – look no further, contact us today at (972) 394-1611 for our Carrollton office. We invite you to look around our site to learn more about Dr. Marylou Pfaffenberger and our Carrollton and Plano dental practices to see how we can be an integral part of your dental care. We know that the first step towards a beautiful smile begins with selecting a Carrollton or Plano dentist that you can rely on. Don't hesitate to give us a call if you have any questions, or if you would like to schedule an appointment. This is by far the best dental practice I have been to. I Have been a patient with Dr. Pfaffenberger since 2000. Great staff too! I really appreciate the gentle care provided, plus they are always on time for my appointments. Excellent experience, beginning at the time I entered the the company website and continuing into the office. My waiting time was limited, both in the waiting area and in the treatment room. Staff was polite, friendly and took the time to make me feel welcomed as a first time patient. Dr Pfaffenberger explained my options and did not try to unnecessarily "up sell" my treatment. She provided the best treatment for the best price. The actual treatment was pain free and provided excellent results. I have already recommended two friends to Dr Pfaffenberger for their own treatment. 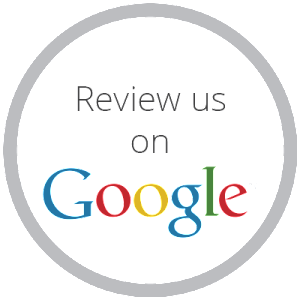 Wonderfully friendly staff, made me feel comfortable and at ease with each procedure. Coming in for the first time, the staff made me feel as if I were there a dozen times or more. Very professional and took the time to answer all my questions. Loved the Doctor, explained everything that she was going to do and what I was to expect, perfect! that's what I like. Thank you!